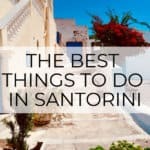 If you have a globe-trotter in your life, you are probably looking for unique gift ideas for travelers so that you are prepared to wow them this holiday season. These gifts are good year round too – in case you’re more of a spontaneous gift-giver ;). 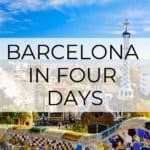 I’ve done some of my own research to put together a list of travel accessories that any traveler will LOVE! The gifts are arranged by price, so you can find one here that fits your budget – no matter what it is. 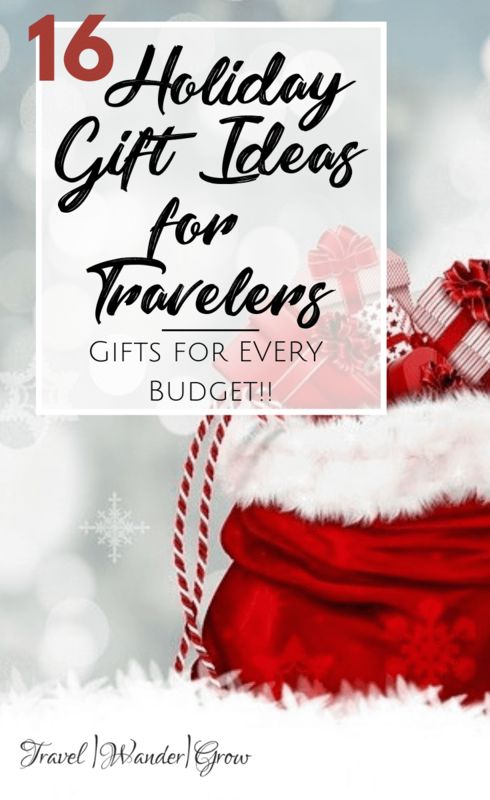 Gift Ideas for Travelers | What will you buy? 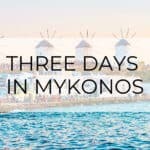 1 | To give your loved one some travel inspiration, this Destinations of a Lifetime by National Geographic book provides 225 stunning images of destinations across the globle. 2 | Keep your passport in good condition by using a Travel Wallet. I like this one because in addition to holding your passport, you can hold cash, tickets, and credit cards. 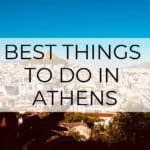 A great way to stay organized while you travel. 3 | A travel journal is a great idea for those writers in your life. This one by Moleskine is excellent as it can be used for keeping track of all travel information (e.g., frequent flyer programs), as well as tear-off packing lists in the back. It can be used for a variety of projects as it includes blank, graph, and lined pages. 4 | The BAGSMART Cable Organizer is something that I’ve mentioned in a few of my other posts – it is something that I absolutely love! Never forget any cords or worry about them getting tangled while you travel again. 5 | If you know someone who likes to keep track of their travels, consider getting a Scratch-Off Map. These are a lot of fun, and suitable for travelers of ALL ages :). The sleek black and gold theme is a nice touch too. 6 | When you already know of your loved ones upcoming travel plans, book a tour in the location that they plan to visit. 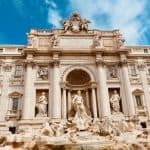 As I mentioned in this post, Get Your Guide is my favorite tool for booking tours. You can access the site to book a tour here. 7 | To stay comfy on long-haul flights, a travel pillow is a necessity. This Infinity Pillow provides great neck support and is machine washable. 8 | Keeping jewelry organized while you travel can be tough, but this Box Jewelry Holder helps keep everything organized! The cost for this is only $11, but I put it in this category becuase you can’t gift someone with a jewelry box without also including at least one set of earrings or something ;). 9 | Get a Personalized World Traveler (Pushpin) Map to level up from the scratch-off version. This one comes ready to mount on your wall at home and includes free personalization. 10 | For the frequent flyer in your life, cash for flights is always nice. This Southwest Giftcard is a great option, and you can include values starting at $100. 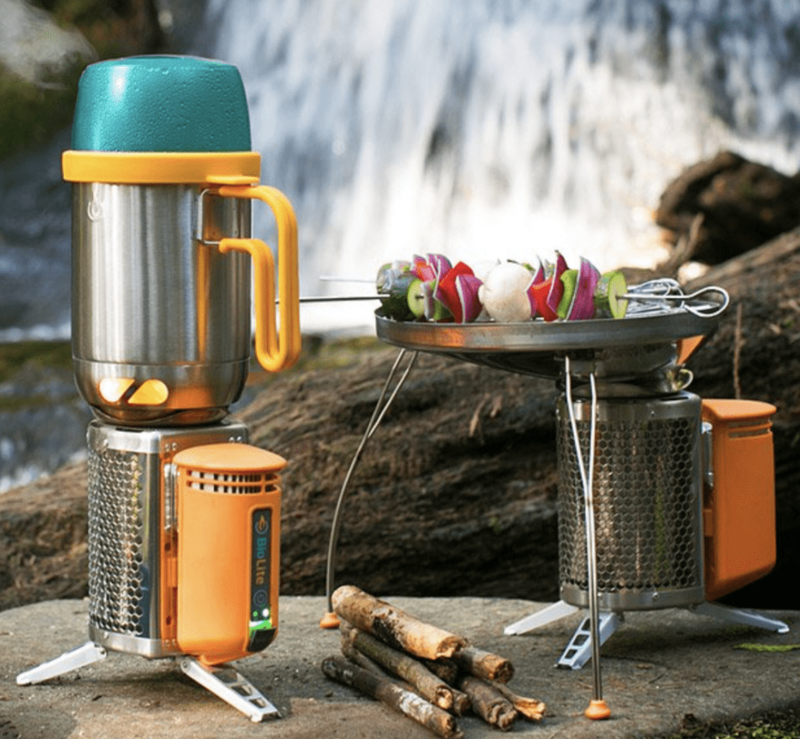 11 | This Portable Camp Grill and Charger lets you cook, boil, and generate power by means of a smokeless furnace. This is a perfect gift for the camper / glamper in your life. 12 | When traveling to a location where English is not spoken regularly, it’s a good idea to have a backup in case your language checklists aren’t enough. This Smart Language Translator allows you to translate what is said to you / what you say to others. And the best part is that it supports 52 languages! 13 | If you want to give a trully unique gift idea, take a look at these Custom Map Cufflinks. 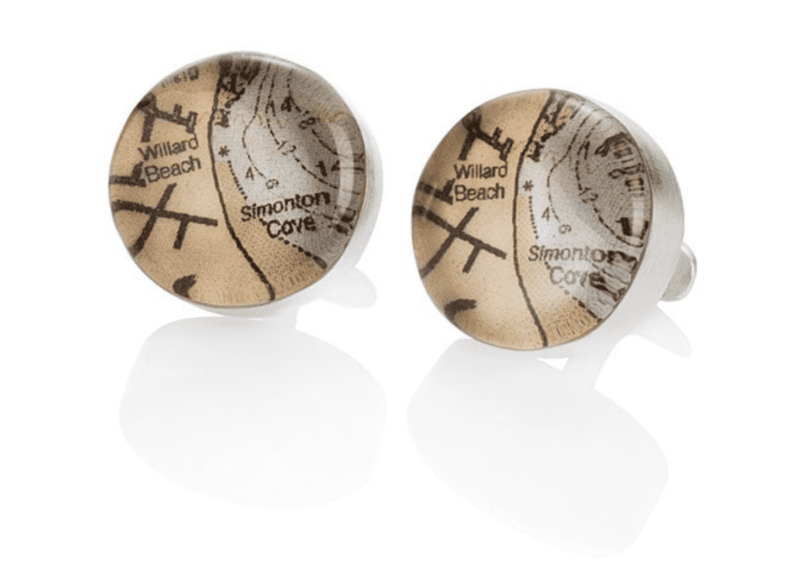 You can select a favorite location to include in the cufflinks, and even add custom engraving for an additional cost. 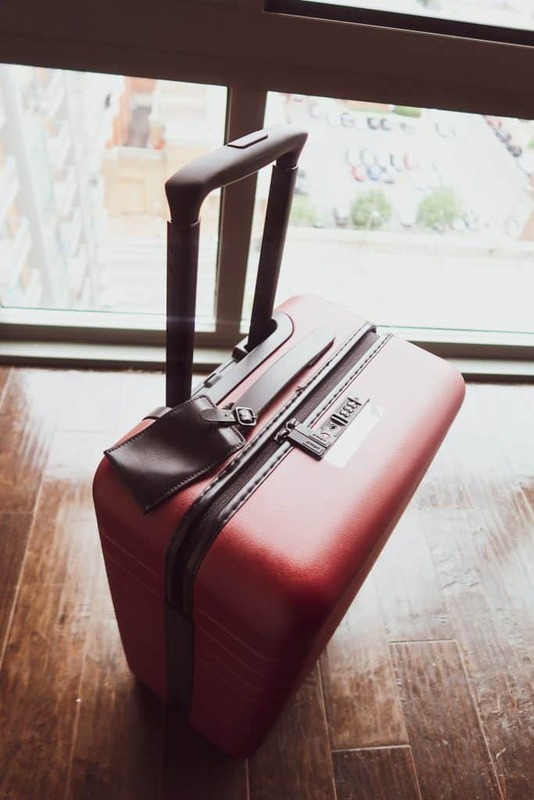 14 | Away Luggage is a great idea if you know your special someone is looking to take their luggage game up a notch. I love mine so much that I wrote a review about it! Also, if you are interested in purchasing a bag from their site, you can use my link to get $20 off your first suitcase. 15 | The Canon PowerShot G7X Mark II is one of the best point and shoot cameras out there, and it is what I use regularly to take all my travel photos. It is widely know for excellent vlogging capabilities as well. One thing I love with this particular option is that it comes with a bunch of camera accessories already included! 16 | Taking it up one notch, you may also want to consider the Sony Alpha a6000 Mirrorless Camera. Mirrorless cameras are newer to the market, having many of the qualities that DSLRs have, but more lightweight and travel-friendly. This option comes with an accessory kit as well, and a lens. To wow them even more, consider purchasing a higher-quality lens as well. 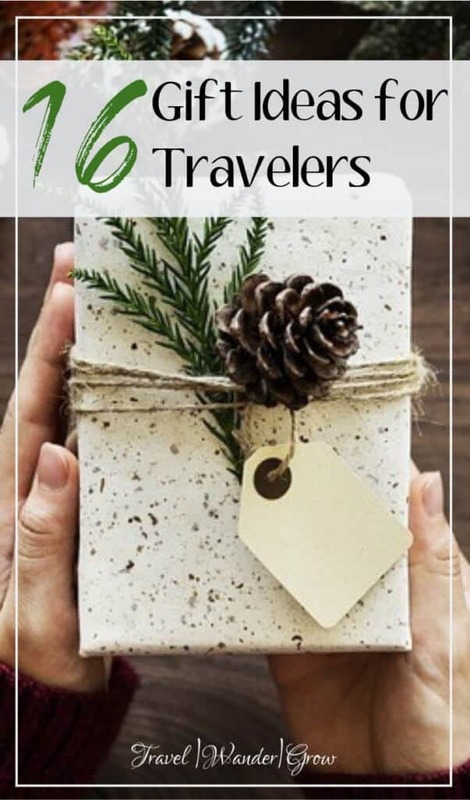 I hope this list of gift ideas for travelers gives you the inspiration you need to figure out what gifts to buy. If you’re anything like me, you know it can be hard to find the right thing. Let me know if you plan to purchase any of these items in the cmments below! So glad you listed the mirrorless camera! We’ were just looking for an alternative to using our phones. Yes, mirrorless cameras are great replacement ideas for phones! I’m looking to purchase one myself. I love the idea of buying a tour for them—never thought about that before. I love buying experiences for people even more than physical things, because it’s so unique and something I know they really won’t forget:) The little jewelry box is so cute! Can’t believe it’s so cheap too! Glad you liked it, Marielle! The tour is one of the things I’m hoping to be gifted with this season ;). Glad you’ve found this list helpful, Sahar!! Hopefully you give one of these to someone you love :).